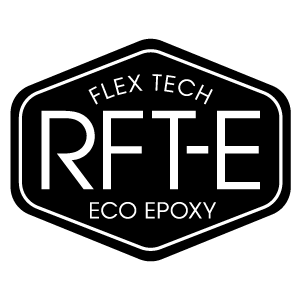 Roberts Flex Technology Eco (RFT-E) construction is verified as an Eco Board by the Sustainable Surf organization. Glassed like our original RFT construction while using environmentally conscientious materials, RFT-E uses stringerless blanks made from recycled EPS foam, epoxy bio-resin, fiberglass and strategically placed bamboo strips. RFT-E boards are designed for controlled flex based on the size of board as well as the rider’s weight and needs. 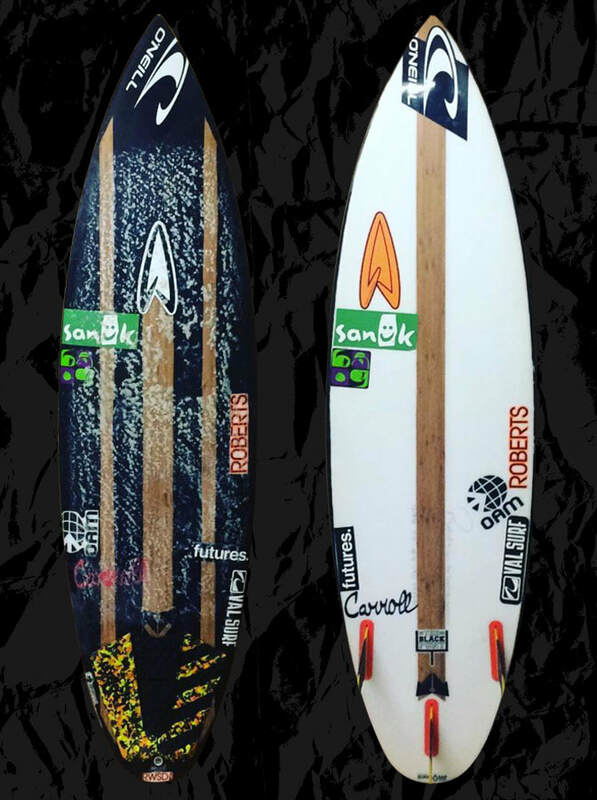 For the optimum sweet spot and flex, we vary the width and placement of the bamboo strips and use special layering of S cloth on the rails and in patches on the board. These components work in conjunction to create a board that’s very light, strong and reactive. RFT constructed boards start with stringerless EPS blanks. Glassing consists of the highest quality bio-resin epoxy and fiberglass. Our standard glassing schedule for RFT stock or custom boards is a layer of 4oz and a layer of 6oz fiberglass on the deck and a 6oz layer on the bottom. Layers of S cloth are placed on the rails and in specifically placed patches on the deck for strength and to control flex. A single strip of bamboo is glassed down the center of the bottom and two are glassed running down the deck evenly spaced from the center to add strength and control flex as well. RFT-E construction may take a little longer to manufacturer than PU/PE since curing and sanding can be more involved. Options include changes in the glassing schedule for strength and to adjust flex.